The Lotus Exige S is one of the coolest sports cars out there and focuses more on handling that power. Since the Exige S was introduced, it has only been offered with a single transmission, a proper 6-speed manual. Things are changing over at Lotus and the automaker realizes that some folks who want an Exige S also want to drive it in traffic and prefer an automatic. For these folks Lotus has announced that it will be offering an Exige S Automatic in countries where the car is available. Sadly, that means not in the US since the car is no longer available to purchase here. 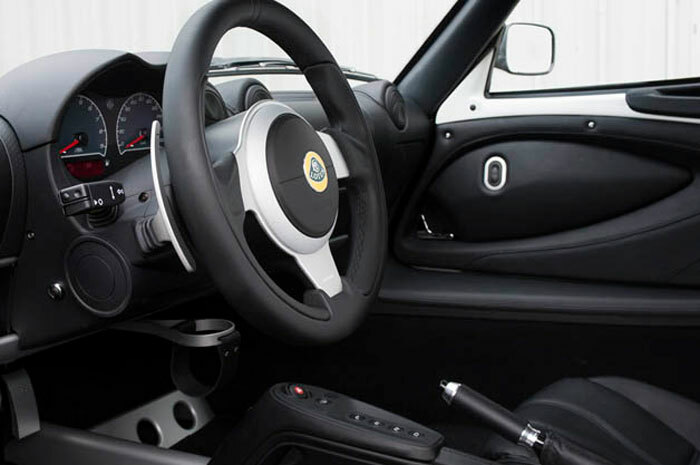 Manual transmission purists may feel a bit different when they hear that the paddle shift Exige S Automatic was no slower on the test track in Hethel than the manual version of the car. The car is also a scant 0.1 seconds faster to 100 km/h than the manual car. The car offers sport or race modes to change shift feel to suit the driver and the environment. It’s unclear if this is a normal automatic transmission with paddles or a proper dual-clutch set up. The automatic will add £2,000 to the price of the car in the UK.